The SIUE School of Pharmacy is a public institution established to provide pharmaceutical education, research and service. Admissions are determined annually based on available resources. Admissions to the professional program of the SIUE School of Pharmacy are limited and competitive - it is anticipated that the instructional resources available to the School will enable 80 new students to be admitted each fall term. For this reason, achieving the minimum pre-pharmacy subject and grade criteria does not guarantee admission. In selecting students for admission, the School will consider the applicant's cumulative grade point average (GPA), pre-pharmacy curriculum GPA, and GPA in science and mathematics courses. (View Pre-Pharmacy curriculum equivalencies between SIUE and other colleges and universities). Other considerations include the number of repeated courses. Applicants may repeat up to four courses within the pre-pharmacy curriculum. The repeated course(s) is averaged for the cumulative GPA calculation, but only the most recent attempt is used to calculate the pre-pharmacy and pre-pharmacy math and science GPA. Applicants who have a total of five or more repeated courses within the pre-pharmacy curriculum will not be considered for admission to the program. Other criteria will include the Pharmacy College Admissions Test (PCAT), review of letters of recommendation, and an on-campus interview. The interview will include a writing assessment. Specific admission criteria are determined annually by the Admissions Committee as approved by the faculty and may be changed without notice. Students who are applying to enter the SIUE School of Pharmacy must take the PCAT no later than November prior to admission. For example, students applying for the fall of 2019 should take the PCAT no later than November 2018. Non-Illinois resident applicants are considered for admission to the SIUE School of Pharmacy. Students should begin the application process one year before their anticipated enrollment in the SIUE School of Pharmacy. The SIUE School of Pharmacy uses the PharmCAS application. PharmCAS is a centralized application service that most schools of pharmacy in the United States use. Professional program application materials will be assembled to form an individual applicant file for consideration by the SIUE School of Pharmacy Admissions Committee. Selected applicants (selection to be based on academic performance and strength of application) will be invited to SIUE for an on-campus interview. Each applicant will be interviewed by selected SIUE School of Pharmacy faculty and pharmacy practitioners who will assess the applicant's motivations and suitability for pharmacy. In addition to being interviewed, each applicant will participate in a writing assessment. All selected applicants must participate in the on-campus interview process. 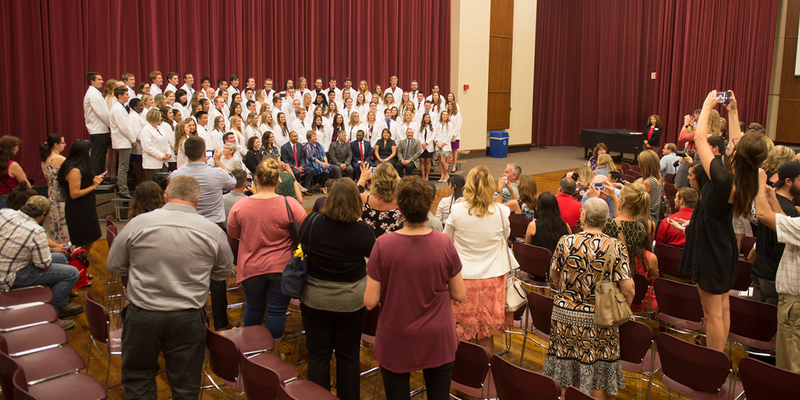 Following completion of the professional program interview, the Admissions Committee will consider all aspects of the applicant's file and make recommendations to the Dean regarding admission to the SIUE School of Pharmacy. The School uses a rolling admissions process which means that applicants will be interviewed and notified of admissions status as their application is completed and reviewed during the application cycle. Only students who have completed the approved pre-pharmacy curriculum and who have met the aforementioned admission criteria may apply for admission to the SIUE School of Pharmacy. For information about applying for undergraduate admission to SIUE, contact SIUE Admissions or call 800-447-SIUE from Illinois and local Missouri locations, or 618-650-3705 from anywhere.